Pet Lovers Unite at Dogtona! Our dog absolutely loves interacting with other dogs. Unfortunately, he doesn&apos;t get to very often. We are a one-dog family, so the most social he gets to be is when he occasionally passes another dog on the street during one of our walks or when he stays at the kennel when we go out of town. 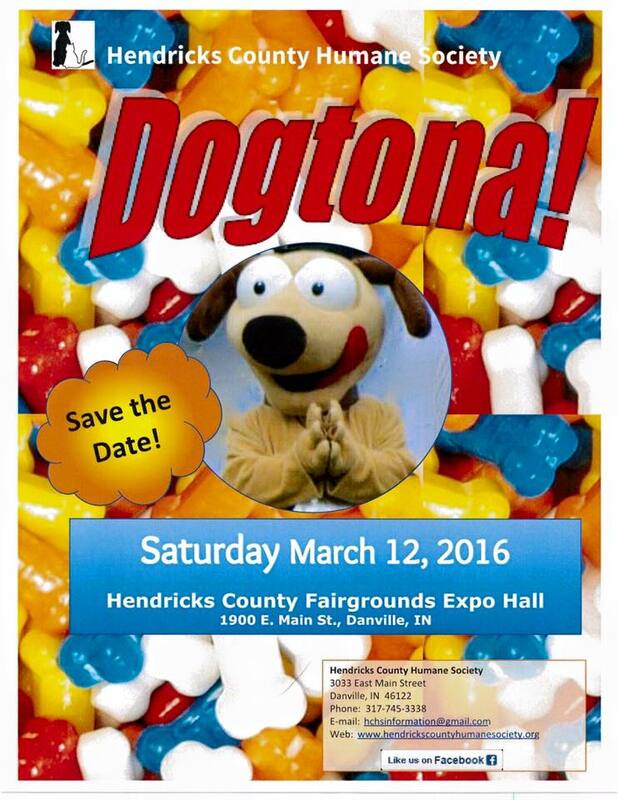 So when events like the Hendricks County Humane Society&apos;s upcoming Dogtona! roll around, we try to go. After all, dogs deserve to have a little fun, too! Dogtona! is 11 a.m.-3 p.m. March 12 in the Hendricks Power Expo Hall at the Hendricks County 4-H Fairgrounds & Conference Complex in Danville. Cost is $5 per dog. I spoke with the Dogtona! organizer and founder, Cameron Johnson, recently and she told me all about what to expect at this year&apos;s event. She said there will be several games and contests for the dogs, a canine cafe with inexpensive treats, not-for-profit booths, free family photos and more. And what&apos;s great about Dogtona! is it is also an adoption event, so even those without pets can go see and learn about dogs or other pets that are up for adoption. The money raised through Dogtona! benefits the Hendricks County Humane Society. In 2015, the humane society distributed more than 38,000 pounds of cat and dog food, initiated a Trap, Neuter, Return program to reduce the number of feral cats in the county, found homes for more than 350 cats and dogs, and contributed about $10,000 toward spaying/neutering animals. So if you&apos;re looking for a fun outing with your dog or would like to find a dog to adopt, Dogtona! is an excellent event that also supports a great cause. Be sure to check it out.